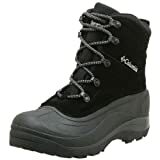 Columbia Cascadian Summit 2 water-resistant winter boots will get you through a multi-day outdoor journey .Water -resistant split suede leather upper with injection molded waterproof rubber shell, provides Lightweight durable protection with lug tread pattern that provides good traction on a variety of surfaces. Provides exceptional warmth, superior moisture management, and dependable. Durable comfort by ffectively blocks the escape of radiant body heat, for maximum warmth at minimum thickness. The Garant APP26KDR alpine snow pusher works in all types of snow. 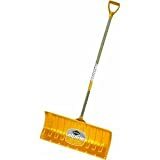 This snow shovel has a 26-inch ribbed poly scoop with a stained ash handle. Ergonomic and lightweight, the Garant snow pusher makes the work easier so you last longer. It was designed for intense, continuous use and comes with an arctic blast grip. This model also features a steel wear strip for extended blade life and improved knock-down system. The strong handle is moisture resistant. 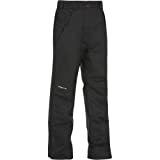 Hit the slopes in the Ski Gear women’s snow pant. It features a ThermaLock™ shell fabric for a wind- and water-resistant construction that keeps snow, ice and moisture out. The ThermaTech™ insulation traps heat close to the skin for lightweight warmth with low bulk.